Please understand, I didn’t write this blog to make you said or to ruin your holidays. In fact, my intentions are quite the opposite. I want you (and me) to remember just how blessed we are at this time of year. I saw this story on the internet and it truly touched my heart. I was right in the middle of wondering how I’m going to get everything done in time for the holidays and doing a bit of daydreaming about Christmas hoping that everything goes as planned. It was at this time that I (quite by accident) saw this story on the internet. Suddenly my little concerns became just that and I realized just how lucky I really am.You don’t need to be a parent to appreciate this story but if you are, well, it’s going to hit home I can assure you. Her name is Delaney (affectionately nicknamed “Laney”) Brown. She is 8 years old and lives in West Reading, Pennsylvania. 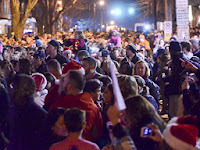 Her biggest Xmas wish this year was to see her street filled with Christmas carolers. She has already gotten her wish. 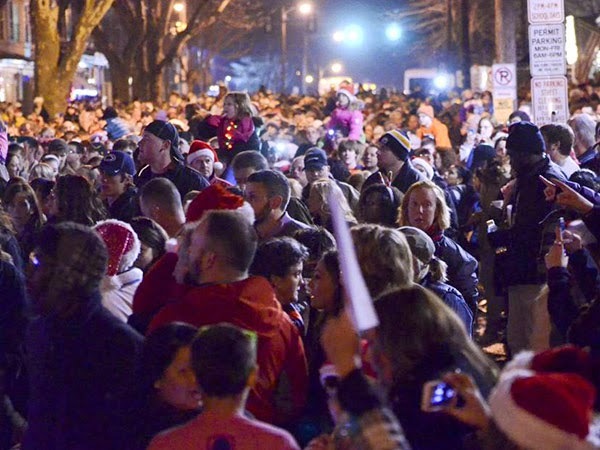 Thousands, yes thousands of carolers lined the street on Saturday just to sing for her. What makes her so special? Laney was diagnosed in May with a rare form of leukemia. Earlier last week she was given only days left to live and it is not known if Laney will see Christmas this year. There is a “Team Laney” Facebook page where you are most welcome to say hello and wish her the best. After she heard all of the carolers she gave 2 “thumbs up” there and posted "I can hear you now!!! Love you!” If you have the time to read this than you have the time to give her your support.